> Business | Non-Fiction > Business Blunders! 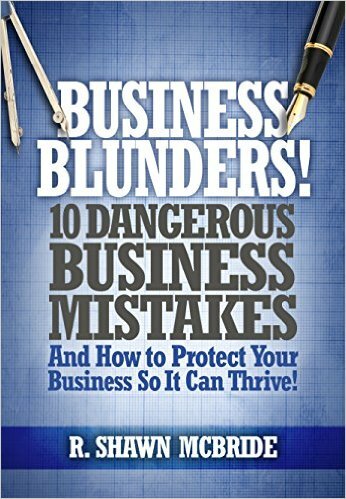 10 Dangerous Business Mistakes and How to Protect Your Business so It Can Thrive! Business Blunders! 10 Dangerous Business Mistakes and How to Protect Your Business so It Can Thrive! In Business Blunders, business consultant, attorney, and CPA R. Shawn McBride identifies the critical mistakes that bring most businesses down and shows you how to plan so you can avoid these pitfalls, protect your business, and maximize wealth.1 out of every 2 companies go out of business within the first 5 years of starting and most face some sort of legal action in their lifetime. Whether you are just starting a business or an established company, don't wait for a problem to arise; download a FREE copy this essential business planning guide today and get ahead of the curve.